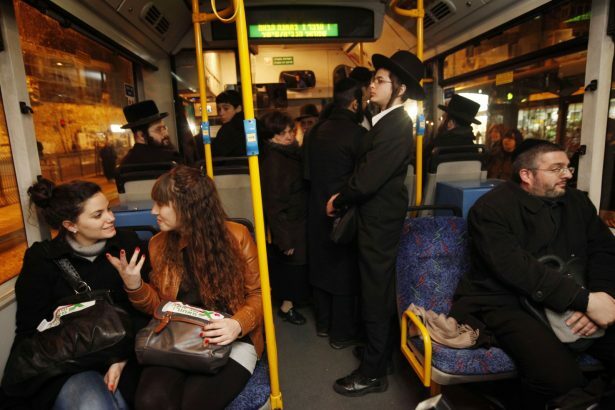 Women sitting among ultra-Orthodox Jewish men in the front of a gender-segregated bus as part of a protest against the exclusion of women in the public sphere, 1 January 2012. Miriam Alster. Flash90. In this in-depth interview with Fathom deputy editor Calev Ben-Dor, the leaders of the Israel Women’s Network raise the alarm about the growing social exclusion of women in Israeli society. ‘In recent years, the public discourse has become accepting of the idea that women are somehow impure,’ they warn. And they do not see this as a marginal phenomenon: ‘It has become tolerated not only within certain groups, certain streams of Haredi thought, but within the country as a whole – in the army, in academia, in the work-force, in cultural life, in medical establishments, everywhere’. 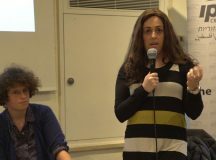 Zalkind and Margaliot discuss the causes, manifestations and consequences of this trend and set out how the IWN is contesting it in the Knesset, the workplace and the public square. Calev Ben-Dor: Some of our readers will not know very much about the Israel Women’s Network (IWN), so let’s start there. Can you tell us a little about the history of the IWN and how it fits in to the history of feminism in Israel? Michal Gera Margaliot: The IWN is an activist think-tank promoting data-backed policy change. Our two core concerns are the exclusion of women from society, and the position of women in the labour market. We have a ‘personal help’ division, which includes our regular helpline which has been running for 30 years, an enforcement division, which is responsible for taking cases to court, and a policy division responsible for reports, public information campaigns, and for bringing policy debates to the Knesset, where hopefully they are converted into legal proposals. IWN advances policy alongside media campaigning and raising awareness to create public pressure to bring about policy change. To give you some of the history, the lobby for women in Israel was created in 1984 by Alice Shalvie to advance rights for women, focusing on the Knesset and government policies. Over the years, there being hardly any other organisations out there, the lobby took on a number of other challenges, from women’s educational programmes such as nemesh (an acronym for Women Leading Change), to courses for women’s empowerment; from women’s employment rights and leadership programmes to joint Jewish-Arab women programmes. 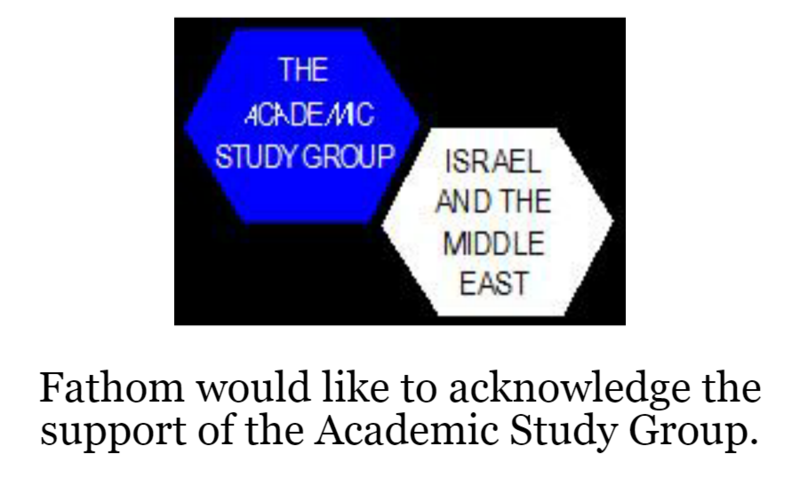 There are members of the current Knesset who went through those programs. Another of our courses, Eshet Chayil, to increase women’s employment in the Arab sector, is now run by the Ministry of Social Affairs and Social Services. That’s great because it demonstrates that the government is taking responsibility for that issue. CB-D: Can you explain why a decision was taken in 2016 to transform the IWN from focusing on grassroots to an ‘activist think-tank’ and what the practical implications of that transformation have been for your work? MGM: The IWN is a membership organisation that holds elections for its board every four years. In May 2016 two-thirds of its board members changed, and this, coupled with a financial crisis, led us to reconsider our focus. We concluded that we needed to concentrate on those things that if we didn’t do them, they wouldn’t get done. So we returned to our original focus on evidence-based policy work and the promotion of Knesset legislation. We do research, collect data – either ourselves or by using external partners – and we use that data to promote specific policies. We no longer engage in ‘on the ground’ projects. CB-D: Let’s discuss women’s exclusion in Israel. IWN believes that ‘the most immediate and egregious current threat to women’s equality’ is the increasing exclusion of Israeli women from participation ‘in almost all areas: the street, the workplace, culture, sports, academia, the services sector and of course, the military’. You have raised the spectre of ‘an institutionalised reality of women’s discrimination and ostracisation.’ What forms does this exclusion take? Is the problem getting worse? If so, since when, and why? What are the drivers? Miriam Zalkind: The exclusion of women in Israel is a problem in a large – and ever-growing – number of places. In 2013, the Ministry of Justice published a report that attempted to map the exclusion of women, examining seven places in which this issue arises. A year later, the government adopted this report and accepted its findings, declaring it illegal to deliberately exclude women in Israel. This phenomenon of women’s exclusion can be divided, broadly speaking, into three principal forms: outright exclusion, gender-based separation, and so-called ‘modesty’ demands. Let me provide a few examples of each. As regards to outright exclusion, take cultural events. In recent years we’ve seen events run by local councils in Israel that have allowed no female performers on stage. When we started digging, we found that in many places in Israel where there is a mixed community of religious and secular – roughly a quarter of the total locations – no women were performing. When we enquired as to why there were no women performing at these important events, we were told that it was out of consideration for religious people who don’t want to see women performing or singing on stage. 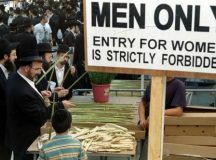 We also see this kind of exclusion in the army, where women are banned from going into certain areas that are all-but-officially ‘uncontaminated by women’ – this is the terminology that was used by the Shaked Commission (that focused on recruiting ultra-Orthodox students to the IDF) – because of the demands of religious soldiers. We took on the case of a female soldier who worked in logistics and who had been told that she couldn’t take a course that would have advanced her position in the army, because it was enough for one religious soldier to say that he didn’t want a woman on his course for her to be excluded. We see it on the streets too, in areas where there are mixed populations, where certain streets are closed off to women. Not too long ago, during Sukkot, there was the Four Species Market in Jerusalem, where women were not allowed to enter, or for example in Zichron Ya’akov, a town between Haifa and Tel Aviv, where a mechitzah was set up along a public road so that women wouldn’t pass in front of a yeshiva. There are also entirely non-religious events from which women are excluded, for example book fairs or medical conferences. The second form of exclusion – gender-based separation – has become much more widespread in recent years. There are now even state-run courses, such as tour-guide training courses, and courses in preparation for national service, which the state separates by gender because they are also designed for Haredim. There are libraries in Jerusalem, in majority-Haredi neighbourhoods that enforce separate visiting hours for men and women. So a father can’t go to the library with his daughter, or a mother with her son. And in academia we are also seeing more and more colleges, and now even universities, in which men and women are separated – whole courses and degree pathways. The significance of this is that not only are men and women taught separately, but also that women cannot teach men, whilst men can teach both men and women, which of course means female lecturers earn less. The third form of exclusion is the drive to enforce ‘modesty’. This phenomenon is also on the rise. For example in the army the role of fitness instructors has traditionally been female-dominated. Now we get regular reports at the IWN of female fitness instructors not being allowed to demonstrate exercise routines, because it’s enough for there to be one religious soldier present to claim to feel ‘uncomfortable’ that commanders have to demonstrate it themselves (rather than the female instructors). So it becomes no longer worth the army’s while to employ female instructors. The end result is that the women cannot do the job they have been trained to do, and are left without a job in the army. We had another case of a lawyer who was meeting a client of hers in jail. She wasn’t allowed to enter as she was deemed to be dressed ‘immodestly,’ even though she wasn’t dressed any differently to how most women dress on a daily basis. As a result she was denied access to the prisoner, which is of course a clear breach of his right to legal counsel. CB-D: Are things getting worse in recent years, and if so, why? What is behind this change? MZ: Yes, unequivocally. Cases such as these are spreading and worsening, day by day and year by year. In 2009, when I was still a law student, my classmates and I campaigned to prevent gender-based separation on public transport, and against the exclusion of women from streets in Haredi neighbourhoods in Jerusalem. That was the extent of the struggle; none of the other examples I just cited were happening. Back then there were no such demands of modesty, especially not in secular areas, there were hardly any public events separated by gender, and the campaigns were relatively low-level. In recent years, the public discourse has become accepting of the idea that women are somehow ‘impure,’ and it has reached every level of society. It has become tolerated not only within certain groups, certain streams of Haredi thought, but within the country as a whole – in the army, in academia, in the workforce, in cultural life, in medical establishments, everywhere. You can say that in the last eight years, discrimination against women has taken root to a worrying extent. Admittedly the ones leading this rise are certain extremist elements within Haredi society who are attempting to assert their control over the public as a whole, but they could not succeed without the state, which is not merely turning a blind eye, but is actively participating in the discrimination against women. We believe in integrating the Haredi population into public and working life. We have a helpline intended specifically for Haredi women experiencing workplace violations. However, the integration of the Haredi population into public life must not be achieved at the expense of women. Also, the Haredi population is not homogenous; it has many beliefs and many streams within it. We have a Haredi member of the board at the IWN who was the first woman to run for the local council in Elad, a small (ultra-Orthodox) city near Petach Tikva, and of course there’s the organisation ‘nivcharot [‘Represented’] which is an entirely Haredi movement calling for women from the sector to be included in Knesset candidate lists of the Haredi parties (currently, women are excluded from selection by these parties). In short, there is a divergence of opinion on these issues within the Haredi community, and the state is granting the extreme elements within that community the right to impose norms of separation and discrimination for the entire community. And what makes it worse is that the state is pre-emptively setting up barriers, excluding and discriminating against women in public life, setting back women’s rights. Since that is the message the extreme elements within the Haredi leadership receive from the state, it naturally encourages them to raise their demands, which means the situation will keep on getting worse. MGM: Regarding problems that impact women in the religious sector, Haredi women are twice-disadvantaged – once as women, and once as Haredi Jews. We know there is a very big problem in the labour market, where basic legal rights such as the minimum wage are not provided and laws are deliberately flouted. In response, we opened a new helpline a few weeks ago, intended specifically for Haredi women, and staffed by Haredi women who provide assistance with employment law. There has been a significant response to this service, the phone hasn’t stopped ringing. It has really brought home the scale of the problem. We’ve had some horrific stories. To give you one example, there was one woman who has been receiving her pay-slip regularly, but has not seen any money going into her account for a year. We hope to assist in finding solutions. CB-D: In the case of Haredi women, is the problem the home/community or the workplace? Are employers reluctant to hire Haredi women, or is there social pressure to stay out of the labour market? MGM: With Haredi women – their numbers in the labour market are similar to those of non-Haredi Jewish women, so it’s not that they aren’t present in the labour market. The problems lie in the terms of the character of their employment. They tend to earn significantly less – around 60 per cent less – than secular women and they are more likely to be employed in part-time roles. Their terms are worse and their rights are routinely ignored. The question is not whether they seek employment; they do. There are, for example, about 4,000 Haredi women working in high-tech. (A very big deal is made of this, so that it can seem like there are more – but there aren’t.) We also know that Haredi women working in women-only workplaces within that sector earn 40 per cent less than other Haredi women who work in mixed offices in the same sector. The demand for them to not mix with secular people, a demand which tends to come from their Rabbis, costs them dearly in their terms of employment. The labour market in Israel discriminates against Haredi men and women – employers very often don’t want to hire them. That’s partly because they look and behave differently, and partly because employers don’t want separation, and are afraid that hiring them will lead to enforced separation. And that’s another part of the problem with extremist interpretations of gender separation – it leads to a perception that the entire community is of one mind on this, and it simply isn’t. There is a very big difference between ensuring a workplace is kosher on some level – no pork in the cafeteria, for example – and a workplace that requires separate office-cubicles for men and women. It is obvious that the latter should not and must not exist in the workplace. CB-D: What particular problems do Arab/Palestinian women face and how does the IWN respond to those problems? MGM: Regarding the Arab community we’re still in the learning phase, working alongside Arab women. We recently held a conference in which we heard from a Jewish speaker who explained how exclusion of women manifests itself in her society, and from one Arab speaker who told us about how it looks in Arab society, and then we held joint discussion circles where we shared the specific problems that each society faces. As we’re still in the learning process, we don’t have any concrete proposals at this point. What we can say is that while the problems are similar in certain ways, they also differ. To give one example, in the Arab community, there’s a custom of forbidding women from participating in funerals; or, to give another, there is very serious discrimination against women in employment, which is very different to what we’ve found in the Jewish community. There are many more areas within Arab society in which women are side-lined and we hope, through our learning process, to develop ideas to help bring about a change. CB-D: How does IWN seek to curb the phenomena of the exclusion of women in Israel? MGM: What the IWN has done in the past year is to build up a base of information: where is the exclusion of women most prominent, how is it being implemented and by whom, what are the reasons behind it? We also have a helpline that any woman can call and we hear a lot of personal stories that help us to build up our understanding of how to deal with exclusion. We work with experts in various sectors, e.g. the army or academia, who help us to establish protocols for dealing with these cases. IWN recently filed a petition against the state on the subject of gender separation, we campaign on social media and through the press. We work with the state, with local authorities and the offices for gender equality within the local authorities, with similar organisations that do work on these issues, we speak out at the Knesset and we publish policy papers. IWN reaches out to everybody – at home and abroad – who campaign on these issues, and we work closely with Dina Zilber who is the deputy attorney-general (head of the Counselling Department). CB-D: Does the Israeli public understand the problem? MZ: In terms of public awareness, the majority of the public doesn’t understand the scale of the issue, or how much worse it has become in recent years. Granted, the secular Israeli public doesn’t countenance the outright exclusion we mentioned earlier, but there is more acceptance of gender-based separation. The understanding that ‘separate is not equal’ – which was the verdict of a US Supreme Court ruling in 1954 – is not deeply embedded here, partly because we don’t have the history of segregation that the US has. By the way, within the Haredi community there are many voices who do understand and oppose this practice, and we work together with them. CB-D: IWN has a ‘feminist and multi-dimensional’ vision for the labour market. What are the most important elements of that vision? MGM: We said earlier that our priority is to promote data-driven policy. We decided to focus on labour market policy because it plays such a central role in women’s lives, and because the IWN has a long history of championing feminist employment policy. We have a relative advantage there, and we have the necessary experience and knowledge. We approach the labour market in two ways. On the individual level we offer a regular helpline, a new helpline for Haredi women, and we are looking to open up additional helplines in 2018 for other marginalised groups, such as Russian speakers, Arabic speakers, and Amharic speakers (Ethiopians). We also take cases to court with regards to the gender pay gap. We fight in court for enforcement of employment rights and women’s rights. The other aspect to our work is on the macro level, pushing for policy changes that would guarantee a labour market that is fairer, more equal, more humanistic, more feminist – you can choose whichever term you prefer. Here, our work involves separating the labour market into different sectors and drafting policy papers that address the situation in each sector. Two weeks ago we published a report on the responsibility of the state in education and assistance for pre-school children. We concluded that when the state doesn’t assume responsibility for early-years education, it is women who end up paying the price and struggling in the labour market. Despite the fact that female employment levels in Israel are above average for the OECD, and that we’re doing a good job of integrating women into the workforce, there hasn’t yet been a shift in attitudes toward childcare and housework. The result is that the majority of that burden falls on women. This is a major barrier to career progression for women in the labour market. Another topic we are focusing on, which is currently working its way through the Knesset, deals with the retirement age and the retirement process in Israel. The discussion taking place in the Knesset aims to raise the retirement age for women, and the age of eligibility for senior citizen benefits, from 62 to 64. Our view on this is nuanced: we believe that the mandatory retirement age – currently set at 67 – should be scrapped but particular attention must be paid to two specific groups: one is people working in physically and mentally strenuous occupations, which includes both men and women, although today these professions are often male-dominated. The other is people who find themselves out of employment and who, because there is often age-based discrimination, are unable to find another job. This happens to both men and women, although statistically there are more women in this situation. We believe that the state must intervene and find solutions for this segment of the population. We analyse the labour market, publish reports, initiate discussions in the Knesset and propose legislation. Our next report is on why paternity leave is so vital for women within the labour market. 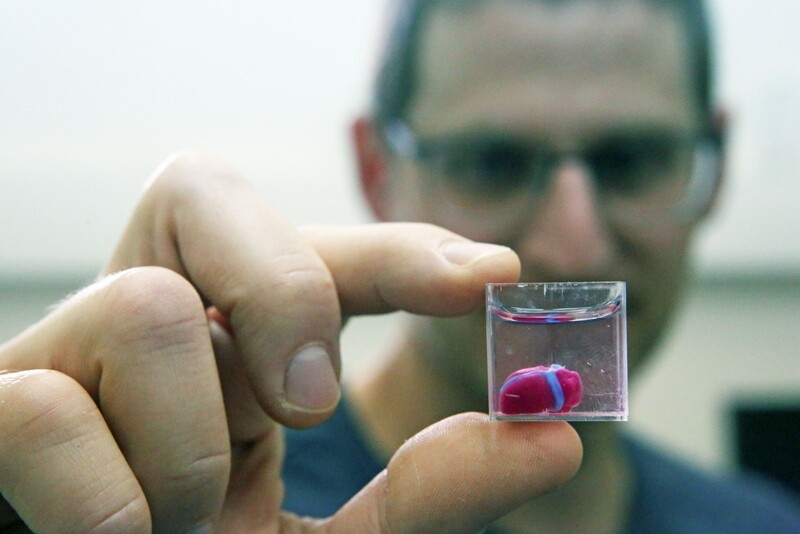 We can learn a lot from the models that have been trailed in other countries – we take that information and adapt it to the reality here in Israel. CB-D: Which countries are models to emulate? MGM: It really depends on the specific issue. The Scandinavian countries, for example, have a highly developed welfare model, so there’s a lot to learn there. But also others – Germany, for example, has laws on maternity leave which are designed to help women with career advancement. This came about because Germany had a problem with low employment rates among women. They wanted to reverse this and so they’ve changed policy in recent years. They came to a realisation that their policies were causing women to not return to employment. Maternity leave was set at three years – which might be good for women who want to stay at home, but it doesn’t allow women to advance up the employment ladder. The government understood this, and changed the policy to ensure that women played a more prominent role within the labour market by extending leave for fathers. We have found that the critical point is at six months – i.e. that is the point at which you can go back into employment and even continue to advance without your absence hindering you. Beyond that – someone who’s been at home for a year, two years, sometimes even three – it’s possible to come back, but it’s very difficult to move up the ladder. And the solution to that is to bring the fathers in, let them become part of the solution. For as long as the onus of raising children is shouldered solely by women, their employment prospects will be inferior. Another point relates to working hours. This is a particular emphasis of ours within the labour market. Working hours in Israel are out of control – not only are the maximum legal working hours in Israel above average for the OECD, the average amount of hours worked in Israel is among the highest anywhere in the developed world. Productivity, incidentally, is very low. We need to work less as a society, and men should be encouraged to take up a more active part in home life, if we’re serious about bringing about a change. CB-D: Israel has one of the highest workforce participation rates of women in the world today, but is one of the four worst OECD countries when it comes to the gender pay gap. Why is this, and what is your strategy for tackling the problem? MGM: It’s true that the gender pay gap in Israel is very high, but this is a global problem. The gender pay gap in Israel between men and women currently stands at about 32 per cent, which means that in Israel, for every shekel a man earns, a woman earns 0.68 agorot. But in the US, it’s at 35 per cent. In 1996 there was a big change in the definition of labour equality applied in Israel, from ‘equal amount of work’ to ‘work of equal value’. However, this has not always been translated into action in the real world. The IWN took part in a large, EU-backed project from 2013-2015, alongside Shatil, the Equal Employment Opportunity Commission (EEOC) and the Adva Centre in order to try and improve the law and to promote its implementation. Statistics were collected, reports were published, we carried out work within organisations, and we took cases to court, including the case of Orit Goren in 2012, a landmark case for gender pay equality. We also received two fantastic verdicts within the last year, thanks to Efrat Deutsch, who was the legal representative on behalf of the petitioners. In December we received a verdict in favour of two women who appealed against the Jerusalem City Council, accusing them of paying women 30 per cent less for doing the same job as men. The court found in their favour and awarded them half a million NIS in compensation. And in April, we received a verdict on behalf of two employees of Ashdod Port, where the expected compensation – based on the pay gap – will be close to one million NIS. Taking cases to court, raising awareness, encouraging recourse to our helpline, that’s one way to achieve change. The other way is bringing about changes in policy. We had a law passed in 2014, sponsored by MK Aliza Lavie and based on an IWN initiative – the Equal Pay Project – that requires the state to collect data on wages by gender. Now the Salary and Work Agreements Supervisor can see the gender pay gap in each and every office. We’re also supporting a bill proposed by MK Michal Biran that would ban salary confidentiality clauses. And in December we launched another campaign on the gender pay gap, highlighting success stories to which we’ve been able to contribute. The gender pay gap is only the tip of the iceberg. Beneath the surface is the fact that some professions are seen as being for men and others for women, and that the female-dominated career paths are significantly lower-earning. In research the IWN carried out in 2015, we discovered that the average salary in the 10 most male-dominated professions was double the average salary in the 10 most female-dominated professions. We need to keep in mind that the professions dominated by women, e.g. teaching, social care, nursing, are professions that traditionally were entirely state-run, and in which even today the state is the biggest employer by a distance. That means it is the state determining the low salaries in these occupations, which is astonishing. It isn’t a case of the state being in line with the private sector – it’s the state deciding to pay high wages for defence workers and low wages for teachers. CB-D: Does equal pay require legislation to bring about change, or is it a case of enforcing existing legislation? MGM: The law regulating equal pay is, on the whole, a well-drafted law. There is a problem of enforcement, yes, but there is also a deeper problem, one of perception. There is still a flawed perception that traditionally female-held jobs are inferior. I want more women in high-tech, and in the Knesset, and in other areas where pay is higher, but I also want more men in traditionally female career-paths. Men don’t take up such careers in high numbers, in part, because of the low salaries those career-paths attract. We’ve seen it before – when you raise salaries for a certain profession, you start to get more male applicants. CB-D: There seems to be a paradox. On the one hand you think the exclusion of women has gotten significantly worse in recent years in Israel. On the other hand, you point to improvements, and greater awareness today, for example about the gender pay gap and the inclusion of women in the workplace. How do you explain this paradox? MZ: In terms of the exclusion of women, I definitely think there has been deterioration in recent years. This might partly be a consequence of the increased integration of the Haredi community, which would go some way to answering your second point. It could be the result of a backlash to that integration – a shift towards the extremes, towards enforcing stricter standards. Regarding the gender pay gap, it’s true that there is a lot more awareness. It’s much easier now to get access to information and so people are better informed. But that doesn’t mean that the problems have been resolved. The cases that the IWN has successfully taken to court are just a drop in the ocean – most women still earn significantly less than their male counterparts and most women still suffer from violations of their rights when it comes to salaries, especially women from marginalised backgrounds, e.g. Haredi, Ethiopian, Russian, Arab women. CB-D: Yes, I remember sitting with MK Rachel Azaria, and she was saying something very similar. 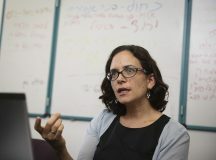 She thought the improvement in the integration of the Haredi sector within modern-day Israeli society, while positive in and of itself, had also led to setbacks in the push for women’s equality. MZ: I largely agree with her. It was almost inevitable that integration would lead to a pushback. It produced fear and suspicion and, as in other places in the world, when this happens there’s a need for a scapegoat. And as so often happens, the primary scapegoats have been women. In this case, both Haredi women and women in wider Israeli society. *Fathom would like to thank Sahar Zivan for translating this interview.